The Douglas UnitE3 Hours consistently proves to be the ultimate way to wrap up your busy work day. The Douglas UnitE3 After Hours are held at various member locations. 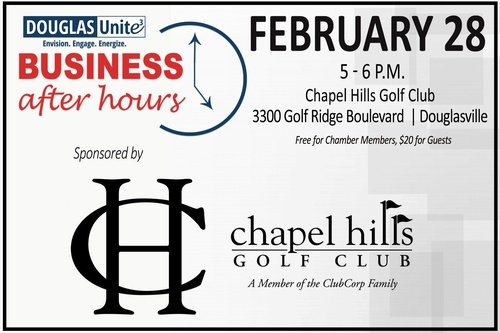 Appetizers and drinks await Chamber members as they gather for an opportunity to socialize and network with fellow business and community leaders.